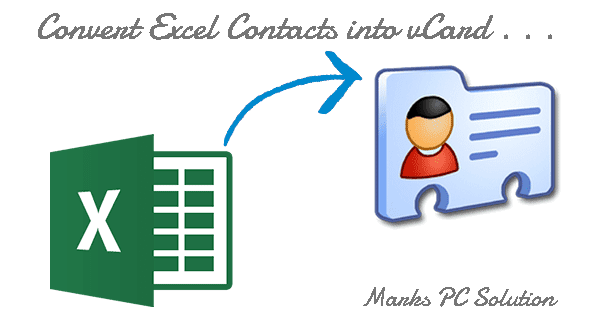 How to Convert Excel Contacts into vCard (.vcf)? 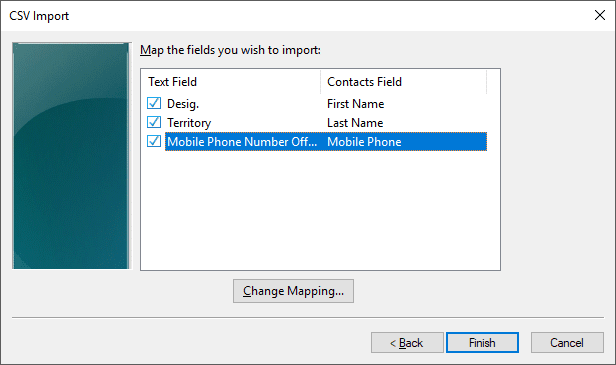 Exporting and Importing Contacts of your Smartphone is not a big deal. 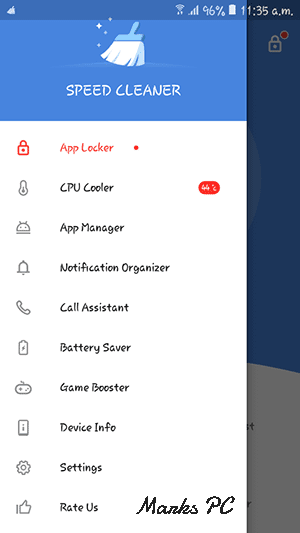 You can easily do this from the Settings option of your Contact App. 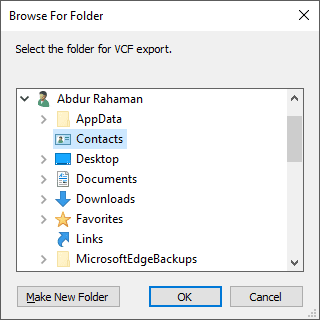 But you will get it really challenging when you've to convert a simple excel file into vCard (.vcf) format and import them as your phone contacts. 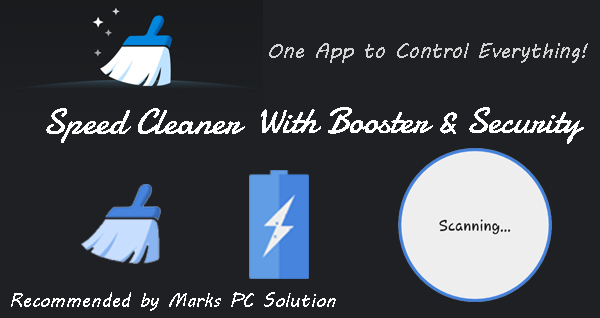 If you don't have any third party tool or if you don't know the tricks then you may require few hours to save contacts on your smartphone one by one. Just few hours ago I faced the same challenge and hopefully you will be glad to know that I've done the job! Of course it costs me nearly 2 hours to discover the trick. But you don't need to wait that long. 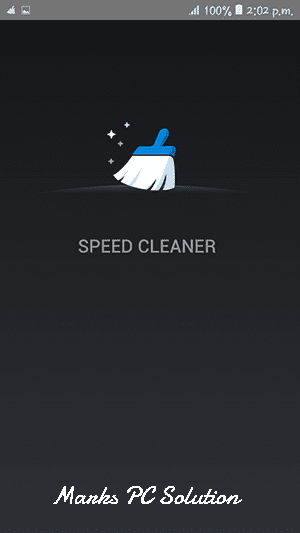 If you face the same need, you can do this within few minutes. Let's see how . . . 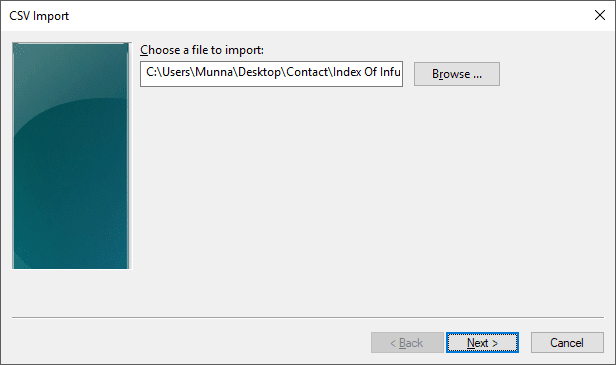 Import the CSV file using Contacts - It's a default Windows Application in the previous versions of Windows. 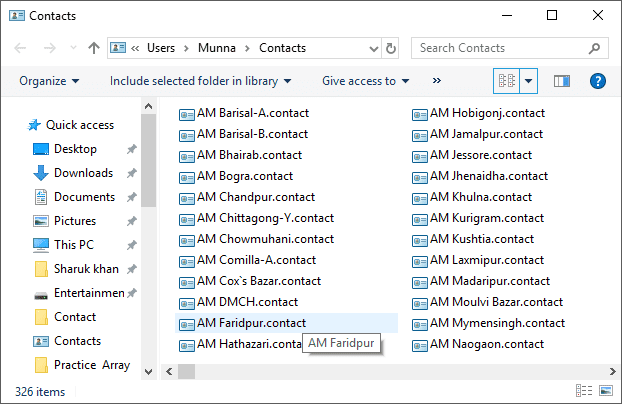 But in Windows 10, Contacts is considered as a folder. 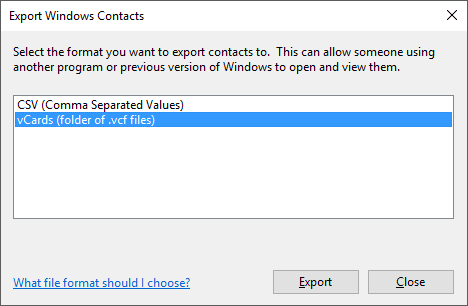 Export the contacts as vCards (.vcf) using Contacts. 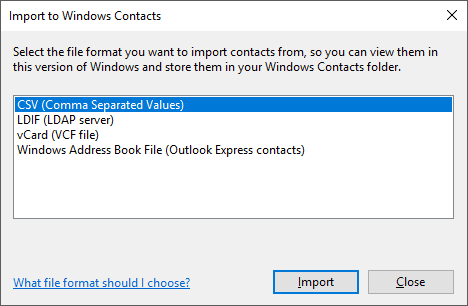 Open the Excel file where your contacts are stored that you wanna convert. Now you will get a message like this. Simply hit the yes button and step 1 is done! Press the Start button and type Contacts. Choose the Contacts app from the search result as shown in the image below. Choose CSV format as shown below and hit on the Import button. 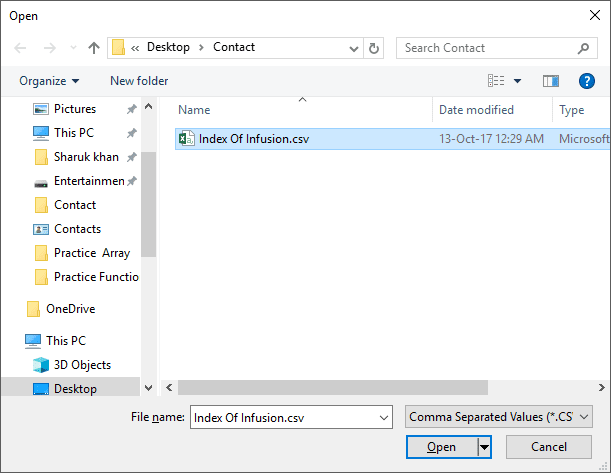 Hit on the browse button, locate your CSV file and select it. After selecting, hit on the Next button. Now you've to mark the fields which you wanna include. 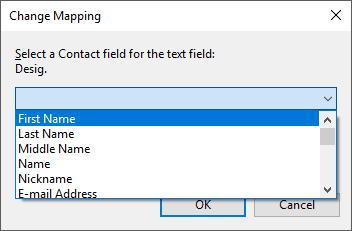 Choose the field type as shown in the image below. 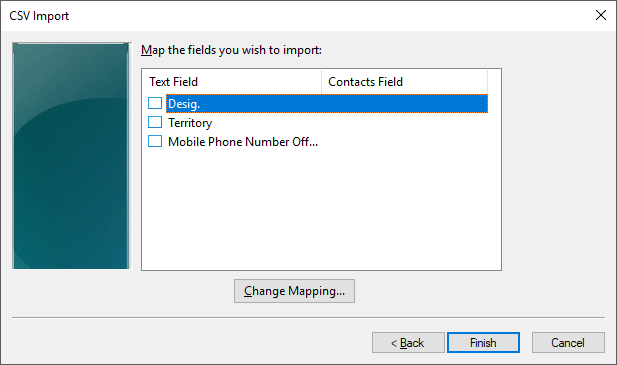 After mapping the fields properly, hit on the finish button. And Close the dialogue box. 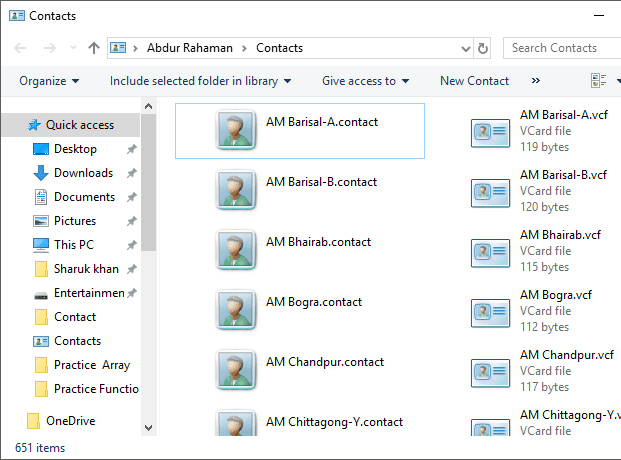 Here you can see that all contacts are stored with .contact extension. 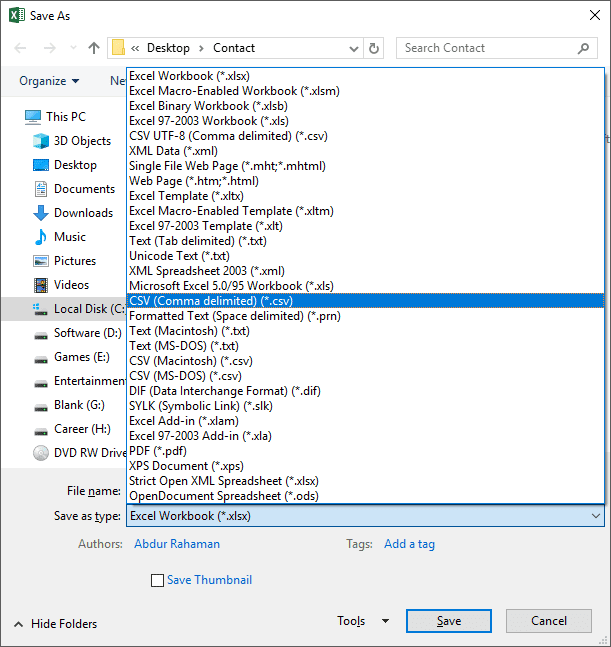 This format is quite useful for your Windows PC. But if you wanna get these contacts on your Smartphone, then they should be converted into vCard format. I mean Step 3 is unlocked. We've to get there now . . .
Now choose vCards option and hit on the Export button. 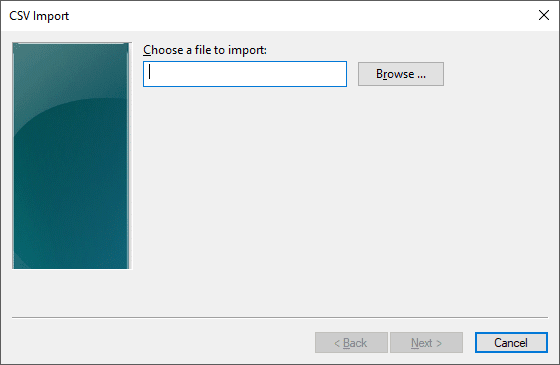 You must choose a separate folder for exporting. 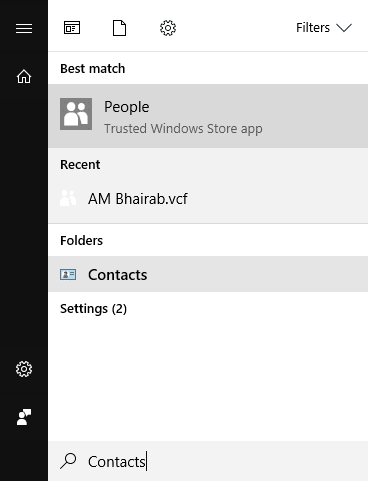 Or you can choose your Contacts folder. 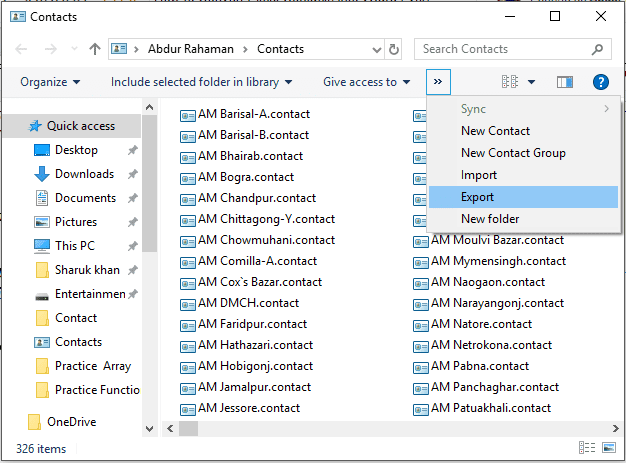 Never choose desktop cause your desktop will be full with these contacts files. Press OK after choosing the export folder. Within few moments your contacts will be exported and you will see the following message. That's it. Now you can see both type of contacts side by side. 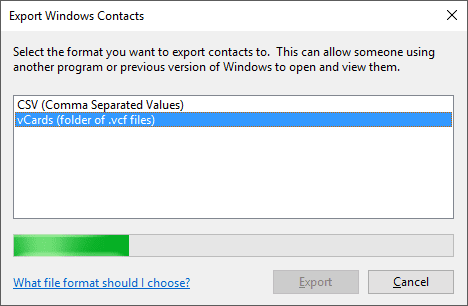 If you need to import these contacts on your Smartphone, then simply select the .vcf files and copy them in a separate folder. 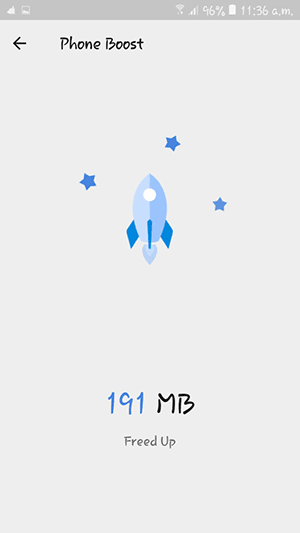 Then copy this folder to your phone memory or SD card. 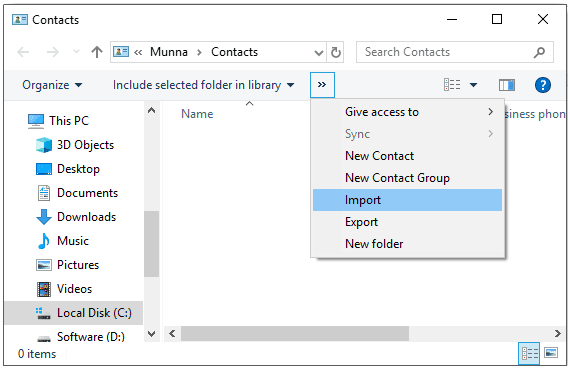 Hope this will be of great use if you are in trouble to copy your excel contacts to your Phone.